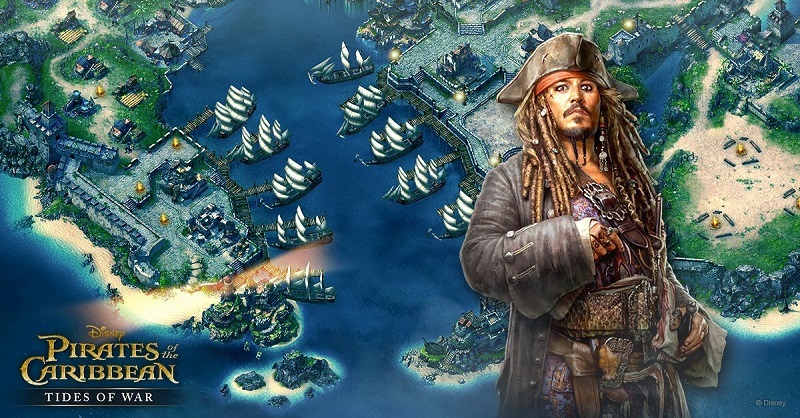 Pirates of the Caribbean: Tides of War is a free to play strategy RP/ base management game for Android and iOS devices from JOYCITY. The amazing multiplayer pirate war game is based on the popular Disney blockbuster series and features characters, ships, and storyline from the movie franchise. In this article, we discuss everything about this addictive mobile game, including how to download, install and play it on your Windows or Mac PC. You’re the captain of your haven, meaning that you are responsible for everything. Strive to become the most powerful pirate and dominate the ocean. Strengthen your team by recruiting the notorious marauders, train your troops, build and construct ships, form battle alliances to either face each other or to battle common monsters roaming in the sea, plan merciless attacks on other ships, etc. Generally, the immersive story mode of this game takes you into a whole new world, where you’ll have the opportunity to standby and interact with Captain Jack Sparrow, Barbossa, Will Turner and all of your favorite characters in the Pirate of the Caribbean. So are you ready to become the legendary captain and dominate the ocean? Control buttons are well-explained in the game tutorial. Players are consistently guided on what they should do next. Plan out attacks millions of other pirates, (real players from around the world). Create/ join pirate alliances to rally forces and destroy supernatural creatures as well as other sea rovers you’re likely to encounter on the seas. Recruit fearless pirates as you prepare for the battles to come. Participate in epic quests that feature “Pirates of the Caribbean” movie characters and plots and be rewarded with tons of resources. In addition to the regular quests, there are daily quests that you need to complete to get daily points and other rewards. Research things that can help you unlock new ships & pirates, or even get a permanent boost to some aspects of your base at Lore Collection. Upgrade your ships. Each ship features four aspects that can be upgraded, including ship firepower, capacity, hunting rewards and ship armor. Unlock the “Weapon Workshop” to craft weapons for your pirates. Plunder all your enemies (monsters and other pirates-real players) to become the ultimate Pirate Captain. Note: The game features several queues, including construction queues, training queues, weapon queues, research queues, ship upgrade queues and attack ship queues. You should always keep these queues busy. Your success and failure is determined by how good/poor you are at managing them. If you are determined to build a sea kingdom that’s fit for your name, or become the ultimate pirate captain, we recommend that you install Pirates of the Caribbean: Tides of War for PC. Being a pirate isn’t an easy task, but if you can sail the seven seas from your Windows or Mac OS, we assure you that you’ll have a better chance of beating other players to become the best pirate. 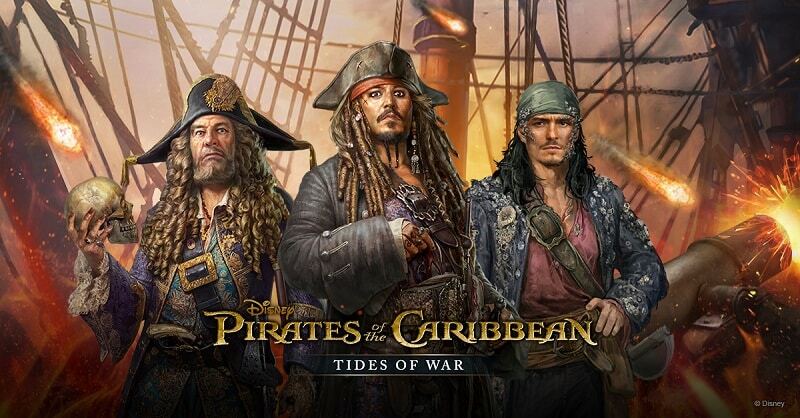 Use the detailed step-by-step tutorial to download Pirates of the Caribbean: Tides of War for PC now. Sometimes when playing Pirates of the Caribbean: ToW, bluestacks ask you fee to pay but gives you option to download some apps. Every time it asks you just select “Install apps” and continue using it free. I hope you enjoyed this article, please rate and share. If you have problems running Pirates of the Caribbean: Tides of War on desktop or any other issues, leave a comment below.